MOCKINGJAY PART I IS HERE!!!!!!!!!!! I, too, am anxiously awaiting Christine’s return home so we can go see the latest installment in the Hunger Games series together. In the meantime, I am fully enjoying relaxing at home with nothing to do, nowhere to be, this weekend for the first time in a LONG time. Relaxing mornings generally means a little more effort in making breakfast, plus I knew I was due for a Hunger Games related post. I decided to theme my post for this week on the critical, crucial moment of Katniss’ story, from which point forward there really was no turning back, no way to stop the ultimate rebellion. Yes, I’m talking about the moment when Katniss defied the Capitol’s authority and control and took a huge risk with both her life and Peeta’s. 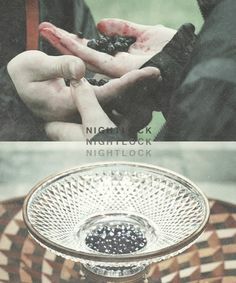 With that small handful of nightlock berries, Katniss changed the fate of Panem. Tough luck for Seneca Crane who later met his demise by the same deadly fruit. Anyway, my take on featuring this critical moment in the series took the form of a berry granola parfait. 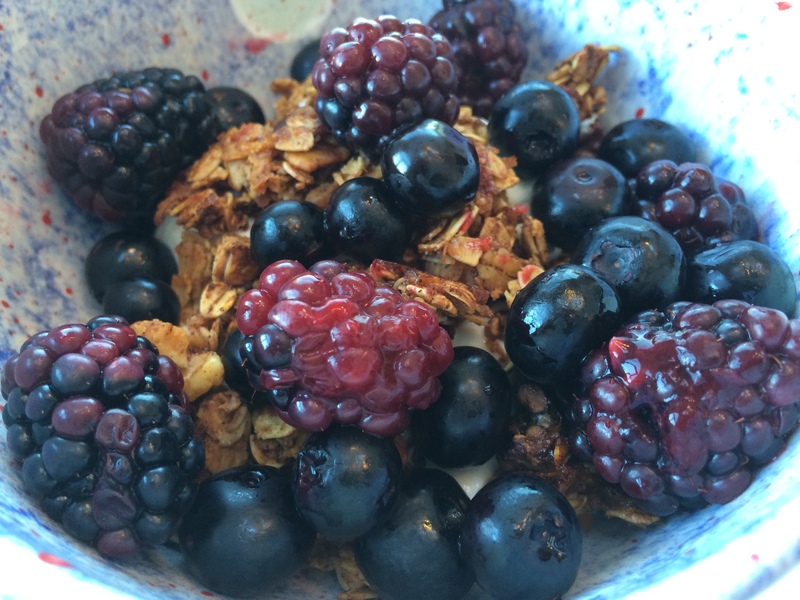 Yes, I know I’ve featured granola and parfait recipes before, but this one was inspired by the climax of the Hunger Games story with a twist of Katniss thrown in there. I used my granola recipe from my Roasted Plum and Granola post, as it’s simple and only takes 15 minutes to bake. I also threw some blueberries and blackberries into a pot and let them heat and blister over low heat while the granola baked. I really love fruit that is slightly cooked to the point where it stays intact but explodes on your tastebuds with a warm sweetness. Plus, they get all shiny and look great in pictures! 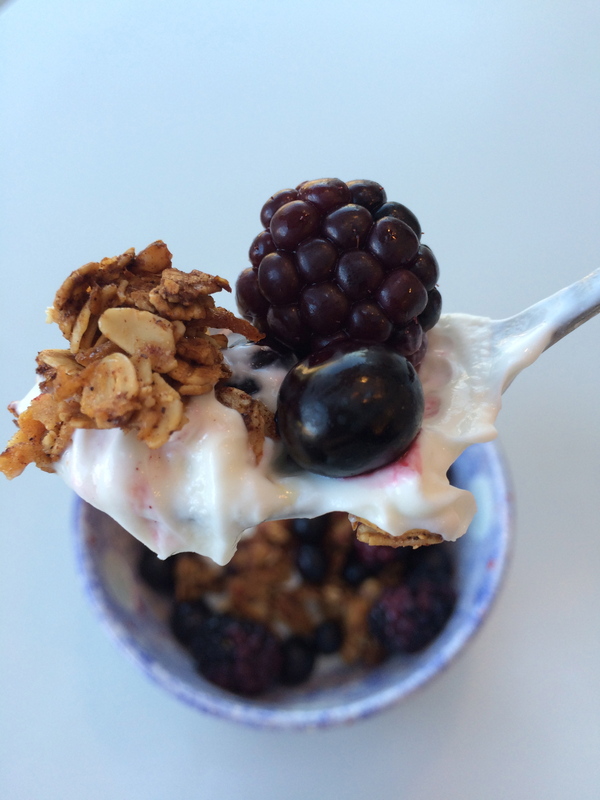 I also enjoy the temperature contrast between the cool yogurt and the warm berries and granola. 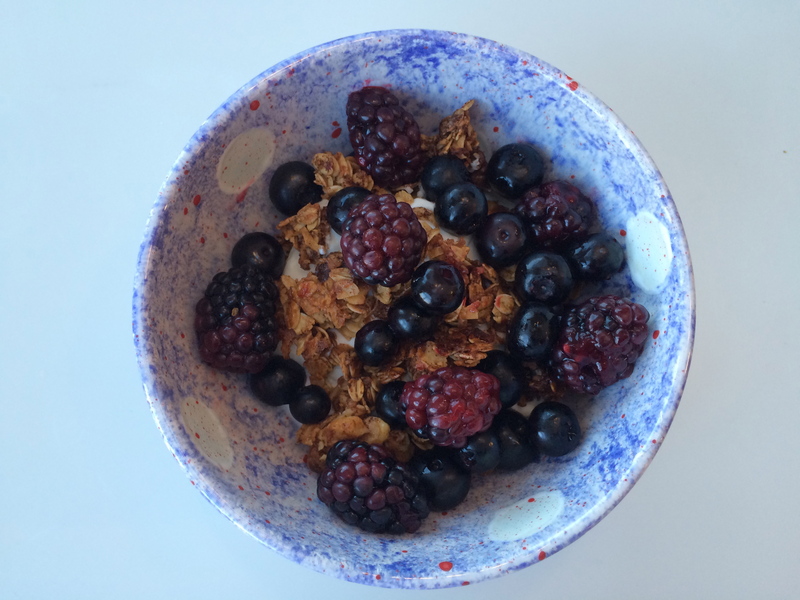 I scattered the berries and granola on top of some snow white Greek yogurt. Get it . . . this might be a stretch, but you could say the white yogurt represents President Snow being defeated by Katniss’ defiance, represented by the nutty granola bits, and finally the berries symbolize the imminent toppling of President Snow’s empire by the rebellion.